As part of our Evolution topic in Science, we looked at some pictures of fossils and creatures and learnt about the contribution of Mary Anning to our understanding of evolution. We worked in groups to sort the pictures. Each group chose different ways to sort the pictures and some groups tried a number of different ways to sort. Sorting the pictures gave us opportunities to discuss the features we could see and to make links between extinct and living creatures. Year 6 had a wonderful day at the British Museum. We had to arrive at school very early to get on the coach ready for a whole day in London. We saw the Parthenon marbles which we had learnt all about in class. Some of us had strong opinions around whether the marbles should remain in this country or be returned to Greece. We enjoyed seeing the Greek pottery, jewellery and the beautiful Greek inspired façade of the museum itself. Year 6’s most recent Spanish topic has been ‘At the Café’. We have learnt lots of vocabulary to help us read a Spanish menu and have practised ordering food as well as sharing our opinions. We had a special morning in school where we tasted Spanish foods and asked for them using all the language skills we have been practising. ¡Me gusta paella! What about you? 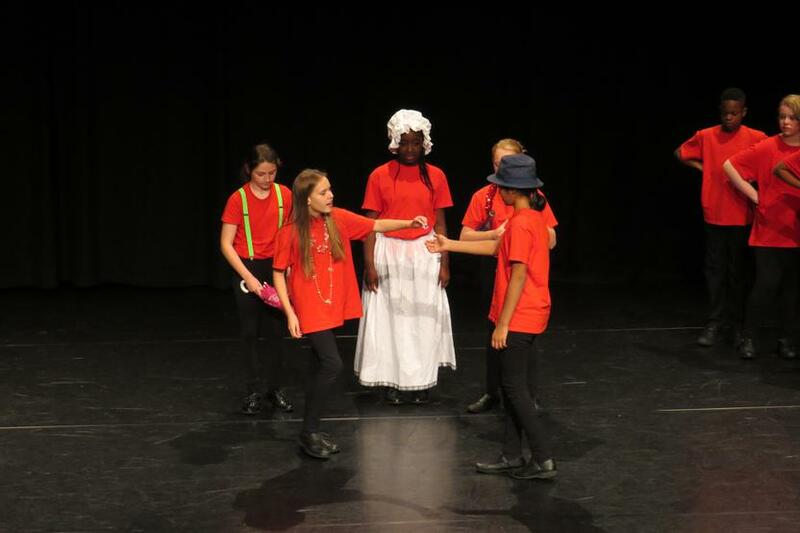 Year 6 have been learning about primary and secondary sources as part of their topic on Ancient Greece. We dug in the sand to act as archaeologists and find Greek artefacts when learning about primary sources and used the LearnPads to research when learning about secondary sources. 6OL had a wonderful time playing in the snow on Friday 13th January. During assembly we noticed the snow was falling heavily and longed to go outside. Back in class we used our maths skills to work out the ratio of adults to children and this helped to persuade our teachers that we could enjoy some time outside. It was great fun playing with our friends! Luckily we went out when we did as by lunch time the sun had appeared and the snow was gone! 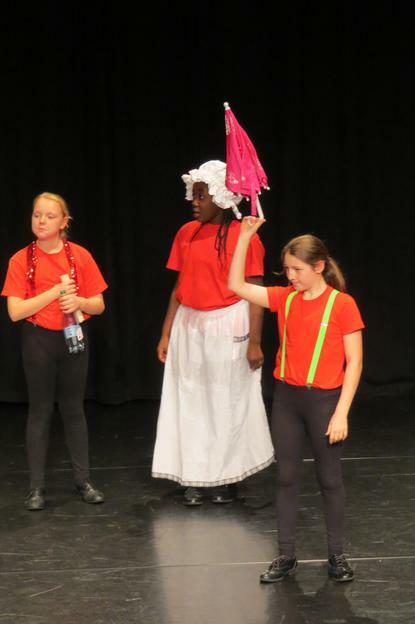 Year 6 have designed and made headdresses for characters in Shakespeare’s A Midsummer Night’s Dream. The children learnt paper craft techniques and used a variety of materials to create their designs. 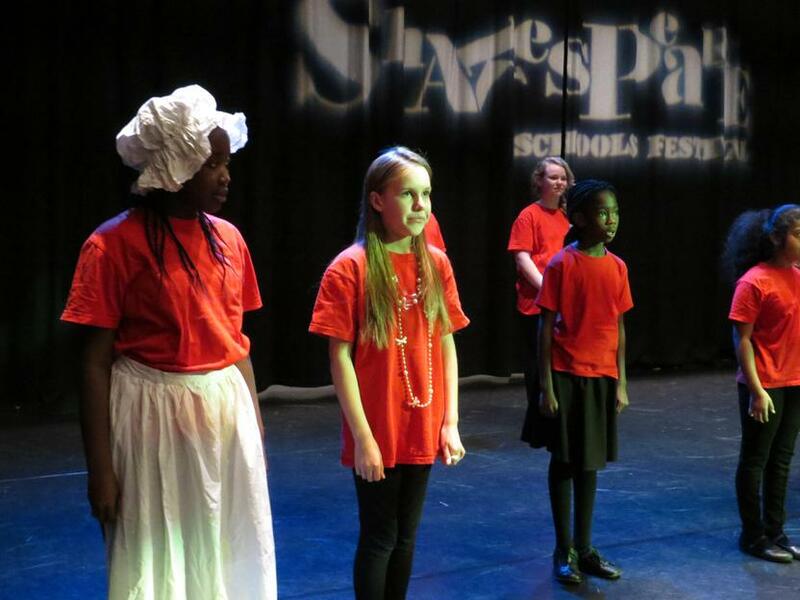 Thirty-two children from Year 6 took part in this year’s Shakespeare Schools’ Festival. 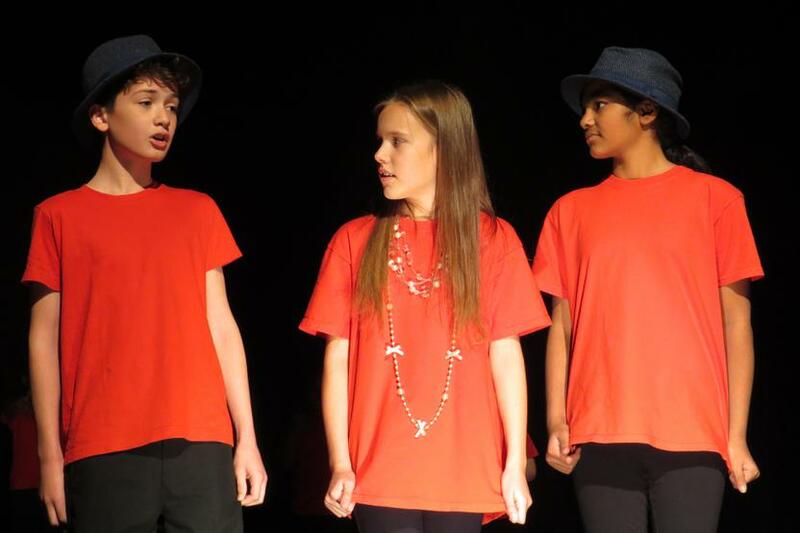 The children have worked on their production of Twelfth Night since September. 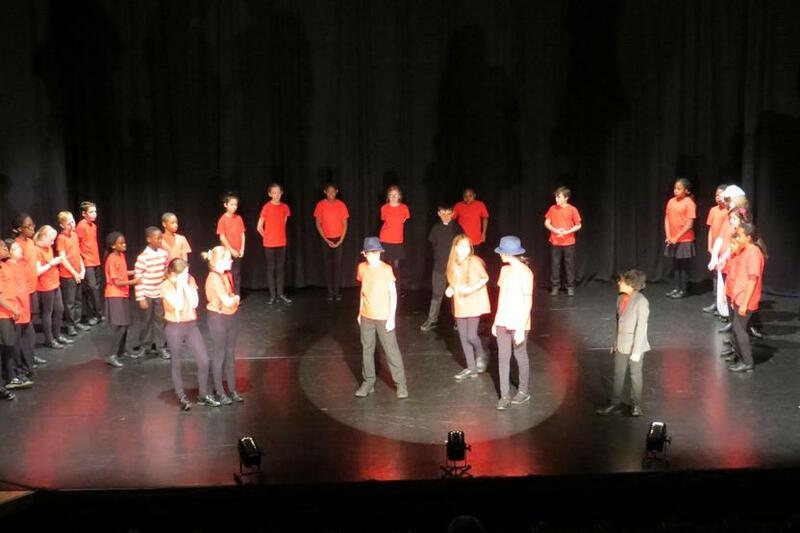 Each week at drama club the cast rehearsed and took part in ensemble activities and two children prepared the lighting and sound cues. 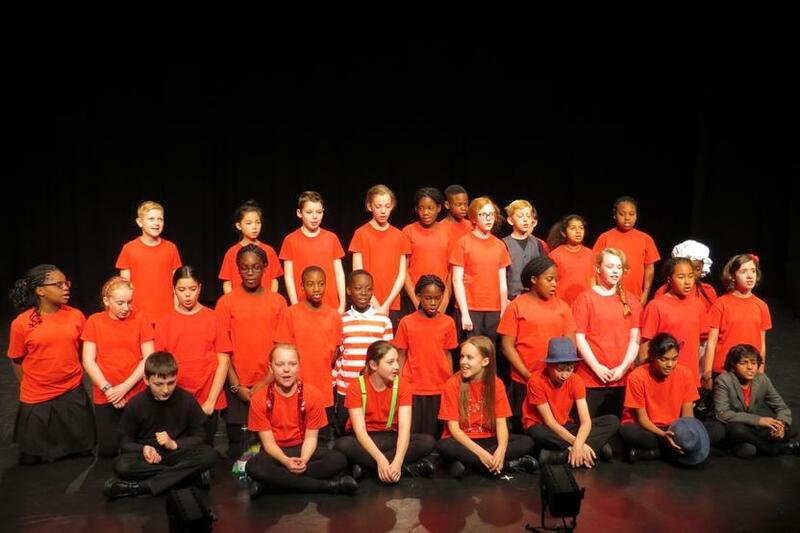 On 9th November the children went to Stantonbury Theatre to perform their play in front of three other school casts and a packed theatre of parents and staff. 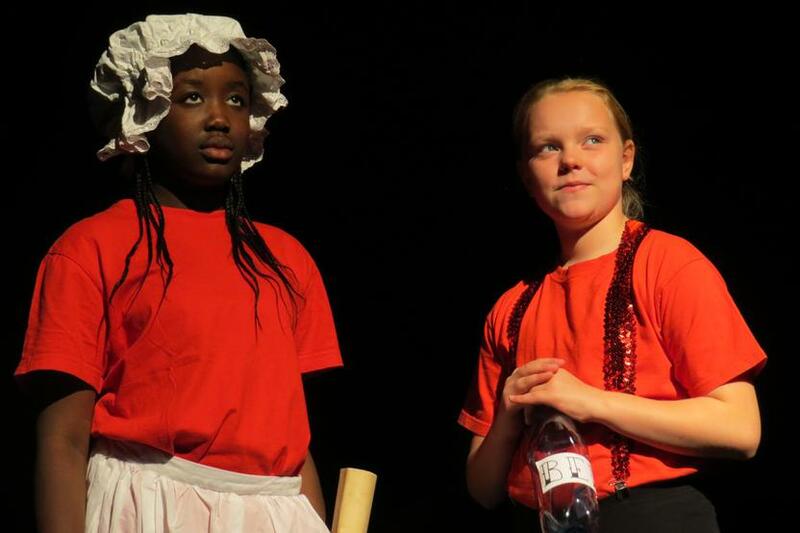 The performance was a great success – it was funny, easy to follow and all children spoke with great clarity. 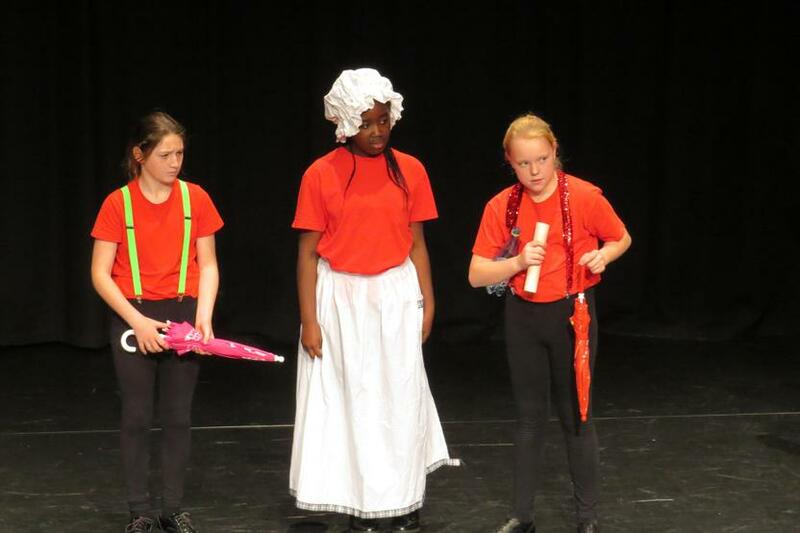 The audience were laughing loudly throughout the play showing that the children had really grabbed their attention. 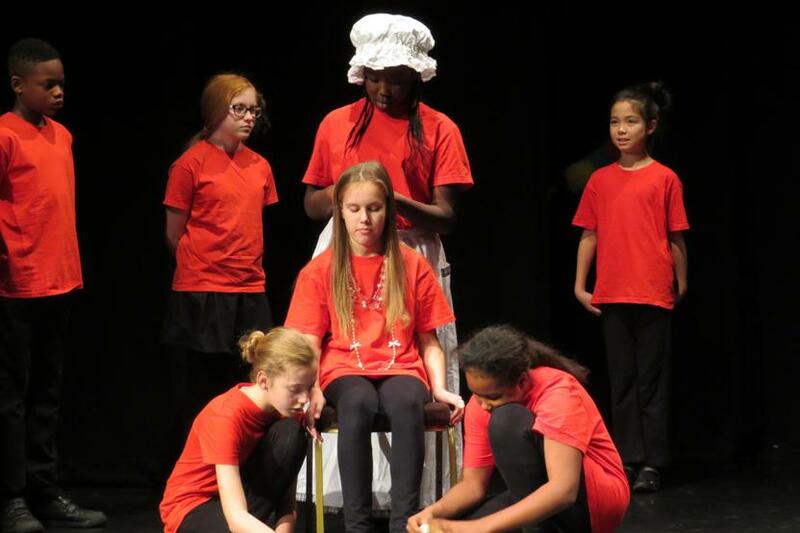 Year 6 have been exploring the plays Twelfth Night and Macbeth through taking part in a range of drama activities. 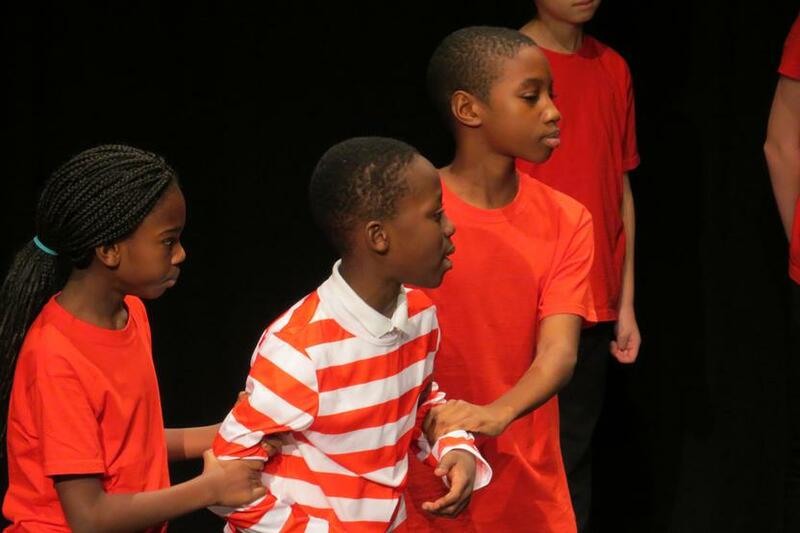 We have used freeze frames, group activities, active storytelling and ensemble games to understand the storylines of each play. We have learnt about the characters through these activities and have used our understanding to write some wonderful topic linked work this half term. 6OL were lucky enough to have six weeks of netball lessons with Mrs Lloyd from St Paul’s School. She visited each week to teach us netball skills and taught us the rules and tactics so that we could play games against other children in the class. We have been using the learnpads during our work on circuits in Science. As well as using the learnpads to explore some virtual circuits and pictures of circuits, we researched electrical safety and created these super mind maps. Year 6 have been debating whether SATs should be abolished. 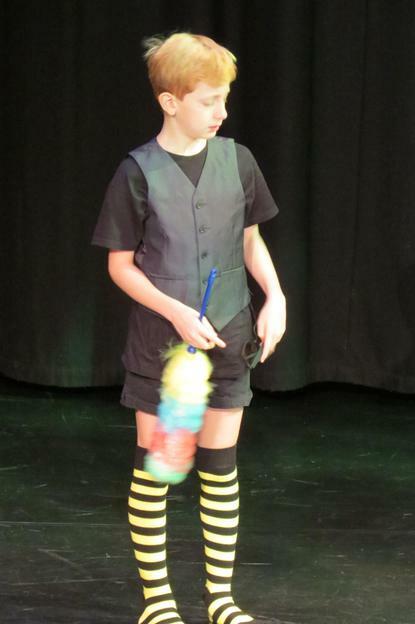 We used super formal language and great debating phrases when we were speaking. Everybody worked hard to present their ideas clearly and to respond to the ideas of the other team.